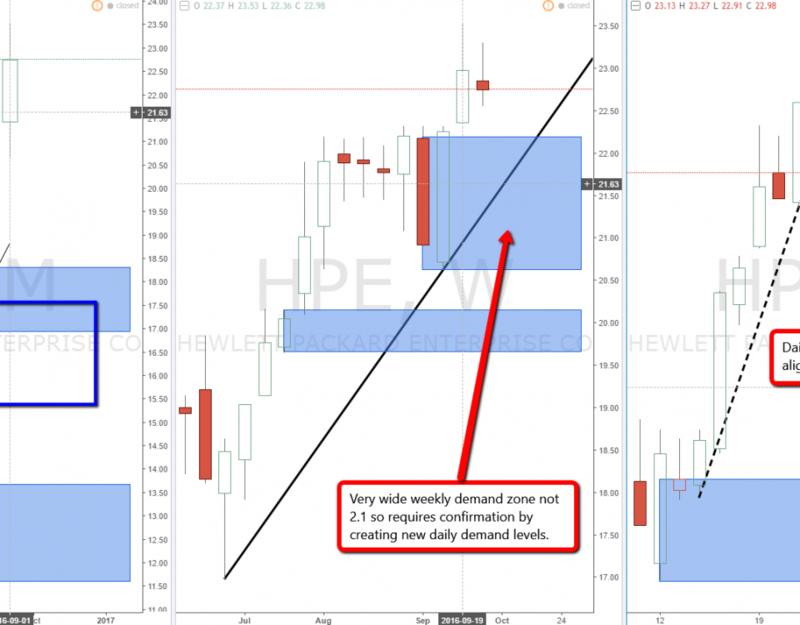 US Stock Hewlett Packard is rallying with monthly and weekly in a strong uptrend. Daily now out of alignment so confirmation for longs at wide weekly demand level. Long bias.